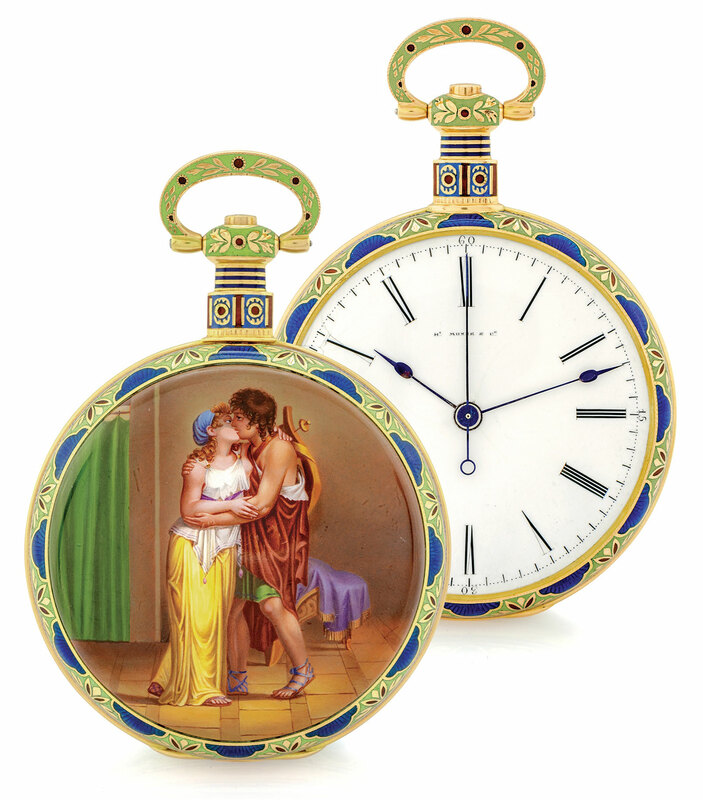 Horological scholar Ivan Ponzo reveals the names of the artisans behind some of watchmaking's finest miniature enamels. If there is one field where safeguarding a shared heritage requires pursuing more obscure areas of study, it would doubtless be identifying the work of Geneva enamelling artisans from the 18th century onwards. Our current knowledge on the creators of the miniature paintings and other decorative motifs adorning pocket watches is extremely patchy. While signing a work appears natural for an artist today, it was a rare privilege indeed in the 18th century era of the Fabrique, the community of artisans and workshops clustered in the Saint Gervais district of Geneva. Despite the beauty and the perfect execution of their work, most Geneva enamel artisans remain very hard to identify due to lack of documentation. In the 18th and 19th centuries, the most well known amongst them did sign their work, but many miniature enamel paintings are attributed without any real certainty or documentation. At the end of 16th century, Geneva was already a well-known place for cutting-edge and highly qualitative enamel production. 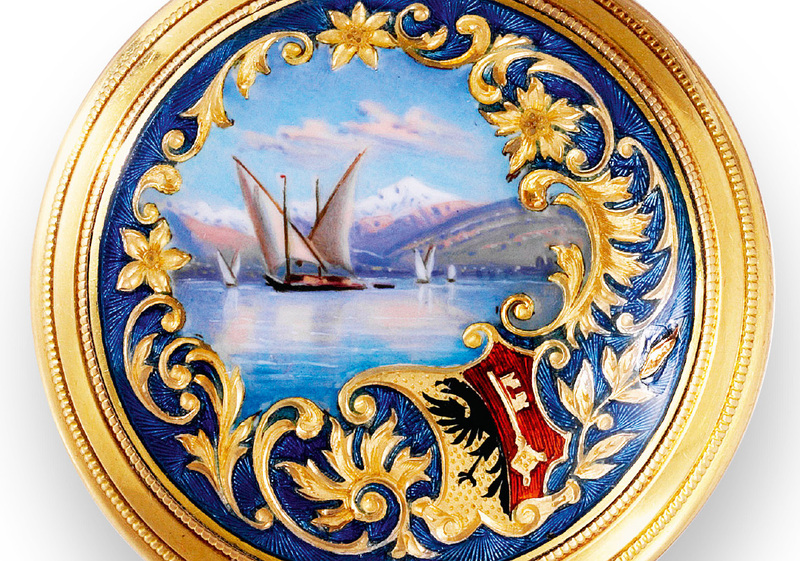 From the 18th century onwards and into the 19th, the Geneva school of enamelling grew in prominence. The Geneva school of enamelling refers to painted enamels covered with a fondant layer – transparent and uncolored enamel that protected the work of art below. Members of the Geneva school included some of the most important miniature enamel painters of the era, notably Jean-Abraham Lissignol (1749-1819), Jean Louis Richter (1766-1841), Jean-François-Victor Dupont (1785-1863), Charles-Louis-François Glardon (1825-1887), all of whom have miniature enamels in several Swiss watchmaking museums attributed to them. Nineteenth century Geneva harboured an abundance of workshops occupied by decorative artisans, all playing a specific role within the Fabrique. The largest community was that of engravers and chasers, of whom there were around a hundred in each watchmaking house, with each artisan practising his own speciality. Although there were fewer workshops for guillocheurs, or engine-turning craftsmen, their role was just as important. Dial makers were also numerous at the time and, like engravers and guillocheurs, they played a crucial role in embellishing the face of the watch. All these crafts and many others helped forge the worldwide reputation of Geneva-made watches. But by the 20th century, with the advent of industrialisation, the only category of artisans that enjoyed a degree of recognition was the miniature enamel painter. From this period onwards, the major watchmaking companies granted artisans the right to sign their works. These were mostly pocket watches, and the signature was placed on the work itself, generally on the outer back cover of the watch. The practice of signed works mainly related to miniature paintings that were reproductions of or inspired by notable classical paintings. Many of such miniatures were found on pocket watches, and reproduced in enamel fragments of famous historical paintings. In contrast, pocket watches with original decorations devised by the artisans themselves generally did not bear any signature, despite their finely executed ornamentation, since decorating artisans consistently exercised their art anonymously. Moreover, even for enamelled models that do bear their author’s signature, research can sometimes prove problematic. 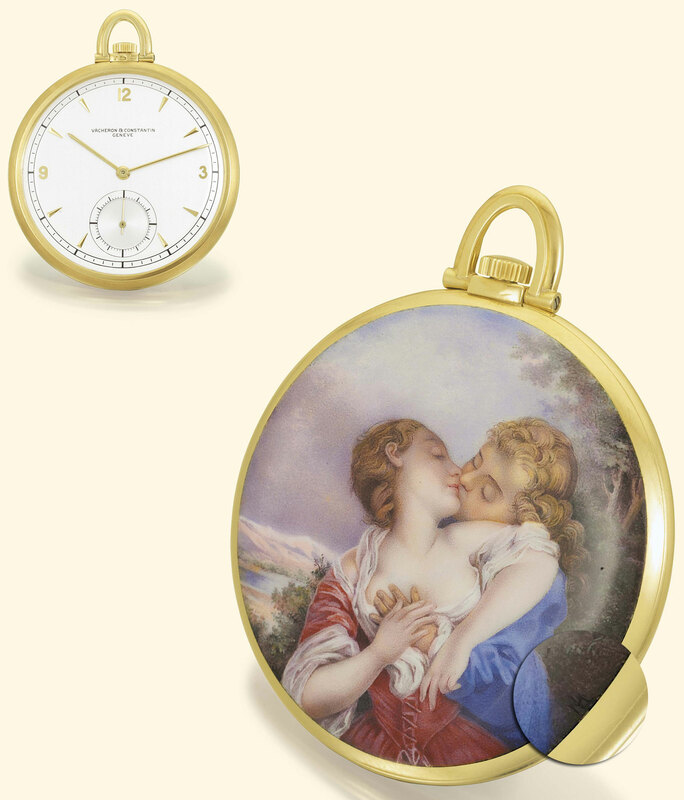 In their December 2014 New York sale, auctioneers Sotheby’s offered an enamelled pocket watch signed by Jeanne Vauthey named “Le Temps et les Parques”, inspired by Time and the Three Fates by Flemish painter Pieter Thys (1644-1677). The initial enthusiasm and attribution quickly vanishes in light of the paucity of accompanying documentation. An attempt to research the enameller in question yields only two small and incomplete references: the first in Osvaldo Patrizzi’s dictionary of Geneva watchmakers, and the second dealing with a 1904 enamelled watch that featured in a 1997 Antiquorum auction. The case of Jeanne Vauthey testifies to the scarcity of the documentation available in this field. Attributing a signature on a work adds a touch of excitement to the appreciation of its importance, and it is therefore extremely frustrating that despite the magnificence of such works, some of them remain orphans and cannot be definitively attributed to any one author. Such a state of uncertainty is uncomfortable for the human psyche. We have to face the unpalatable fact that historical watchmaking is affected by this problem, one that is also inherent in the larger art market. While the beauty of the work often erases this sense of absence or anonymity, the oft-encountered words “attributed to” or “unknown artist” serve as stern reminders of this reality. Attempts to explore and showcase Swiss horological heritage have by no means revealed its full wealth of knowledge nor unlocked its many mysteries. These weaknesses and blank spots in history are regarded by some as strengths, helping to preserve its mystique, and by others as an inexhaustible source of inspiration. It is entirely fitting to pay tribute to the 20th century Geneva miniature painters; to speak of their work and shed light on the quality of their work; to commemorate them and to sing the praises of Franck-Edouard Lossier (1852-1925), Carlo Poluzzi (1899-1978), the sisters Marie (1846-1933) and Louise (1853-1940) Goll, Marthe Leclerc (1880-1973), Hélène May Mercier (1910-1996) and Suzanne Rohr (b. 1939). Rohr’s work is surprisingly illustrated at great length in the Patek Philippe Museum in Geneva, where 26 creations bearing the artist’s signature are on show. Among contemporary exponents of this art, Anita Porchet and Muriel Séchaud are undoubtedly the elite names among today’s talented enamel artisans, regularly called upon by Patek Philippe and Vacheron Constantin. The deliberate compartmentalisation of information in order to serve specific vested interests currently prevents historians and specialists from furthering their watchmaking research. Recognising natural talent is one of the most fascinating aspects of this activity, together with discovering and grasping creative motivation as well as acknowledging little-known expertise. The experience acquired in managing and highlighting the value of the historical archives preserved by a long-established Geneva-based maison naturally impels me to render a posthumous tribute to unheralded artisans. To remember the countless specialists who demonstrated a magnificent mastery of the art and who have not yet found their place in museums, thus allowing their memory to be lost in the twists and turns of history. Title image of Vacheron Constantin “Grand Tir de L’Exposition Nationale, Geneve 1896”, a pocket watch created as a prize for a shooting contest in 1896; courtesy Antiquorum.